Best known as the drummer for the Finnish glam rock band Reckless Love. 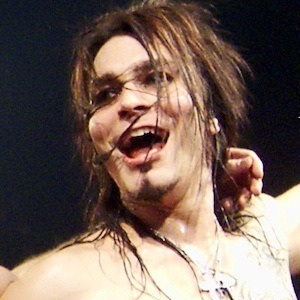 He first appeared on the group's debut self-titled album, which reached #13 on Finland's album charts. He initially joined the group in 2009 after the original drummer, Mike Harley, left the group. He was found under a week after Harley's departure. In 2013, he and his bandmates released their third studio album Spirit. It peaked at #3 on Finland's Top 50 Albums music chart. He was born and raised in Viiala, Finland. His band's initial inspiration was Axl Rose's hard rock band Guns N' Roses.